Keep your beloved, departed cat close to you all the time with this unique “Spot of Color” fused glass Memory Pendant® made by artist Linda Huffman to include some of your cat’s cremains. The entire front of the pendant is covered with a red, green, blue, or yellow transparent cap to protect and securely seal the small bit of ash between the layers of glass. Underneath the spot of color, the bit of ash will be visible. Its special meaning to you need not be known by anyone else; to them it's just a beautiful and elegant piece of jewelry! Pendant is approximately 3/4” round with the fine silver wire sticking up approximately 1/4” from the top of the pendant. The wire is fused 1/4” into the glass, creating a secure attachment for the bail. Visible cremains cover less than 1/8” in the center of the pendant. Include from one to three cats’ ashes in this pendant. May also be ordered in all black with the cremains concealed inside (not visible from the back). Comes with black cord from 16-22”, or no cord; your choice. Add an optional 18” 1.6-mm Sterling silver snake chain instead, if you prefer. When you order this pendant, you will receive a collection kit from Linda that will include instructions for you to select the spot of color for your pendant and the cord length, as well as a vial for you to send in the cremains. 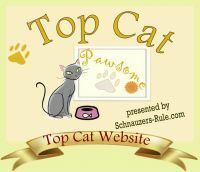 If you would like to send a photo of your cat along with the kit, Linda would appreciate having this to help her visualize the cat as she works. Your pendant will be custom made. Any remaining ash will be returned to you with your pendant. No two are alike.